Filipinos are probably the most smell-sensitive group of people. And if water is abundant, they would love to take a shower every day. Well, considering the temperature especially during summer, who would not love taking a cool shower? Here are some things that naturally happen in our bodies that you might be curious about as to their Cebuano terms. Our noses form this whenever we have a cold or sometimes they just form inside our nostrils. It's nose wax. As kids, you would make funny things from it (whether some would admit it or not). 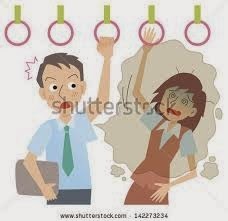 Another disgusting odor that Filipinos really hate is the strong anghit or body odor coming from under the armpits. Having this is a death sentence. People are likely going to avoid you if you have anghit.